where parfums are manufactured after keen research, carried out with an artistic and creative mindset. and the din of the village, the scents of nature, the genuine and traditional touch of everything around, are the elements that give the idea of contrast that is typical of the collection: tradition, sacredness, passions and legacies are watched closely through pagan eyes, in order to capture their essence. The key features can be found in the formulas: they have some recognisable ingredient like the layered echoes of the resins, woods and notes that recall moulds, where majestic flowers and herbal notes, conjured with and old-style touch, reveal an ample dark base. 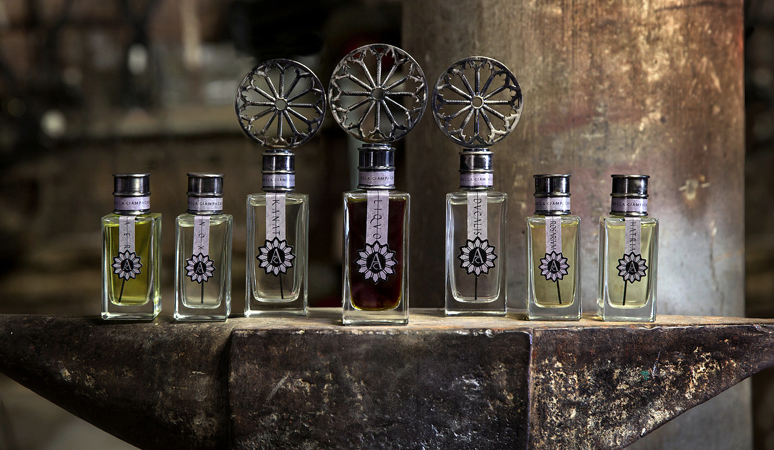 Each and every single perfume is a unique numbered piece. labels are applied individually, boxes are created, lined and decorated one by one. Finally, all perfumes are hand-packed individually, to guarantee their genuine artisanal excellence.